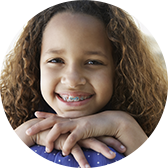 We offer braces for all ages. Ask us about our clear braces options! Don't hide your smile! Straighten your teeth today with the clear braces alternative! Looking for an alternative to metal braces? 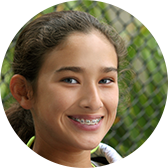 Ask Dr Nalbandian about clear braces options for teens! Providing quality orthodontic treatment to kids, teens, and adults! 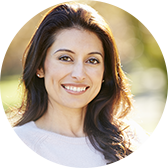 As one of the premier orthodontists in Toronto, Dr. Nalbandian creates beautiful, healthy smiles for kids and adults in a clean and comfortable environment in the Toronto region. Your smile is important to us! 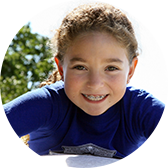 Toronto Orthodontist, Dr. Nalbandian and his staff take pride in providing quality braces and orthodontic treatment options to children and adults throughout the Toronto area. Most of our patients work or live in or near Downtown Toronto, Scarborough, North York, and Markham. 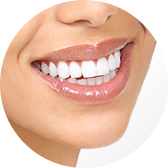 Specializing in braces and braces alternatives for adults and children, Dr. Nalbandian uses the latest techniques and technologies such as Invisalign, Invisalign Teen, Lingual Braces, Clear Braces and more. When you are looking for an Orthodontist in Toronto, meet with Dr. Nalbandian at Wired Orthodontics for a complimentary consultation. Have you thought of visiting an Orthodontist in Toronto because you are interested in straightening your teeth without metal braces? There are many clear braces options and braces alternatives available now in Toronto. 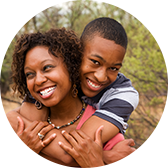 Ask us about the benefits of Invisalign and Invisalign Teen, the clear alternative to braces! When you smile, we smile! Schedule a FREE Initial Exam today to discuss your treatment options. 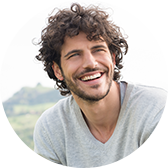 Invisalign® is a virtually invisible way of straightening your teeth using a series of clear plastic.. Wired Orthodontics is an amazing orthodontic institution. Dr. Nalbandian and the receptionist, Anette are very friendly and do everything they can to make your experience a happy and welcoming one. Dr. Nalbandian makes your time with braces comfortable and painless and I couldn’t ask for better service. If you need braces, look no further than Wired Orthodontics! Thank you very much Dr. Mark and receptionist Anet for your great help to my son Robert! We are very lucky to find Dr. Mark to be my son’s orthodontist. The very first meeting my husband and me were impressed by Dr. Mark’s professionalism and the great environment. Every visit has been a very pleasant experience. We highly recommend Dr. Mark!! I have been walking through the doors of WO for close to two years now every month, and each time I do, I look forward to seeing my orthodontist. I have visited several different practicing orthodontists as my teeth have been quite the mess, and have never felt so comfortable as I have with Dr. Mark Nalbandian. Dr. Mark is genuinely concerned about his patients’ teeth and overall health. He always makes sure to thoroughly explain every minor detail from what each type of wire does, to how a retainer will be made, so that you know exactly where you are in your treatment and what is being worked on. Wired Orthodontics is conveniently located at 2901 Sheppard Ave E, Toronto ON. Take a look at our office photos. Dr. Nalbandian is a great choice for patients looking for an orthodontist in Scarborough, North York, Markham & the greater Toronto area. Schedule an appointment today! We are OPEN on Saturdays! !